Ann Boardman of Saniflo UK talks about overcoming drainage challenges and gives some examples of how ambitious projects can go ahead without relying on direct access to mains drainage. Architects and specifiers are confronted by domestic and commercial projects that come with all manner of drainage obstacles to overcome. Some may allow the restrictions and limitations of mains drainage to lead, or at least, heavily influence their design choices, but there is really no need. 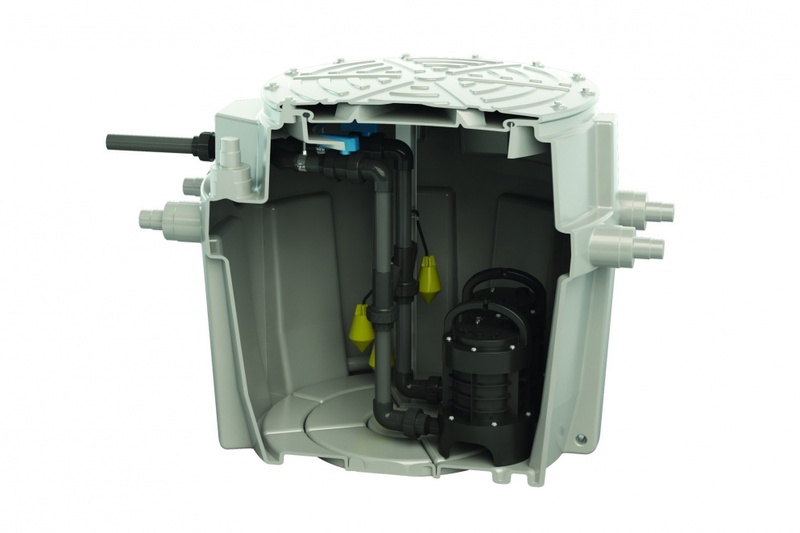 By using a combination of macerators and pumps it is possible to find a suitable non-mains drainage solution for any wet areas and WCs in any building, whether a temporary or permanent structure. More professionals are turning to macerators and pumps for their drainage solutions, in a wide variety of situations, and with success. Obviously, the key to any successful project using macerators and pumps is specifying the right product for the job. And with so many different plumbing scenarios possible, it is important to work with reputable manufacturers whose specialists can properly inform you, guide you through the options and keep you updated with the latest product information. Macerators and pumps are in use up and down the country in everything from universities to ‘glamping pods’, and in some cases entire projects rely on macerators and pumps. You can even connect them to Building Management Systems for the ultimate control. It is likely that you have used services that rely on macerators without even knowing it. At ExCeL in London for example, the WC facilities use macerators. London ExCel first opened in November 2000 and is still growing today with additional facilities being added. The 100-acre site at Royal Victoria Dock is home to many large events including exhibitions and conferences and millions of people visit ExCeL every year. This venue relies on a number of macerators for its smooth operations. You might be surprised to learn that elsewhere in our capital city, some of the nation’s most prestigious landmarks could not operate without macerators and pumps. Take The Shard, for example. The building was created using pioneering engineering methods not previously used in the UK involving top-down methods where foundations are dug while the core is built up. Officially completed and opened in 2012, The Shard is an architecturally striking ‘vertical city’, housing multiple and different occupiers including hotel, education, medical, tourist, residential, retail, restaurant and office facilities. Here, a total of 45 macerators also help to keep the prestigious medical facilities of London Bridge Hospital fully functioning. The macerators were fitted retrospectively, but there might be times when you have a brand-new domestic or commercial build that requires a clever drainage solution and perhaps you want to avoid messy, time-consuming and costly excavation works. Even in these cases you can turn to macerators and pumps. Here all you need is one product that sits underground and removes waste water from the building. 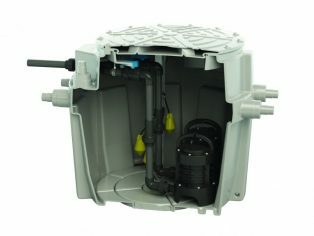 Look for a pump that can be sited outside a building and below ground where the drainage is too low for a sewer or too low for a surface mounted pumping station. You need to go for a high capacity tank with multiple connections to take waste from bathrooms, kitchens and utility rooms in industrial or large domestic buildings. Lastly, 20 Fenchurch Street – otherwise known as The Walkie Talkie – was completed in 2014 and is the sixth tallest building in The City of London. The 34- storey building cost more than £200m and features a distinctive top-heavy form, and top-floor Sky Garden. This building uses macerators and pumps on every floor to ensure it can remain open for business. Here, the plumbing goes up into the ceiling to the main stack pipe and this connects to mains drains. These examples are testament to the flexibility that macerators are able to offer.